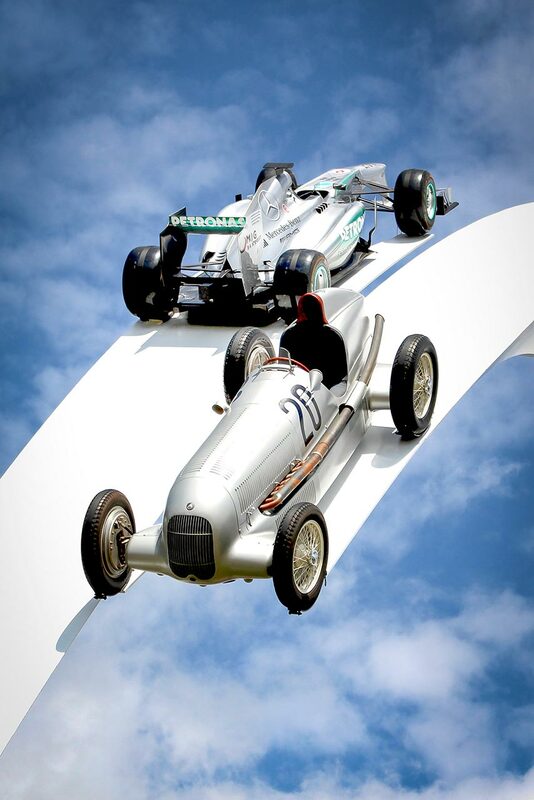 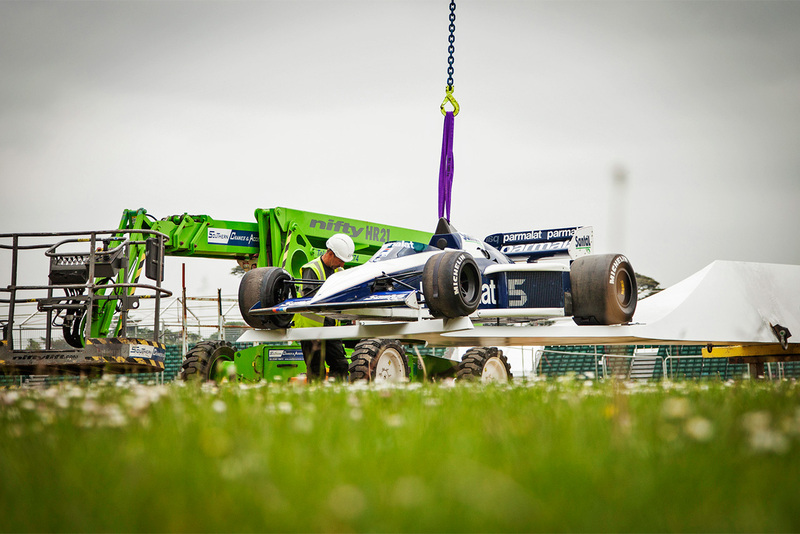 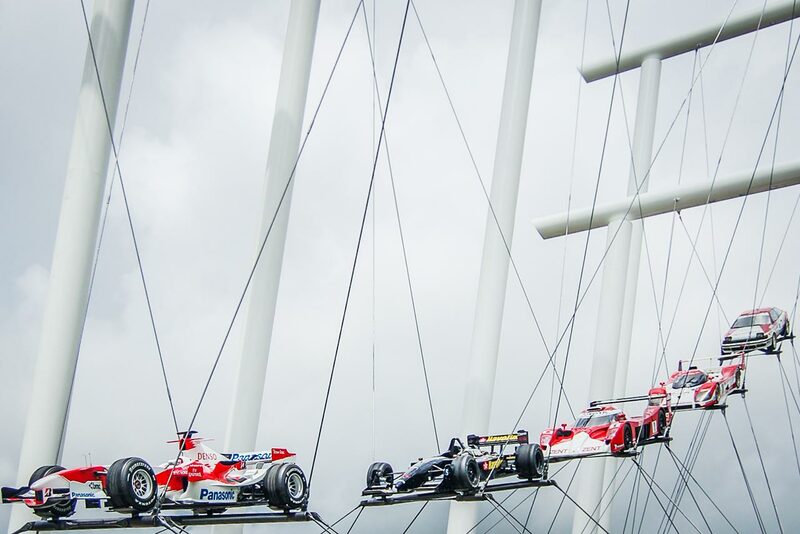 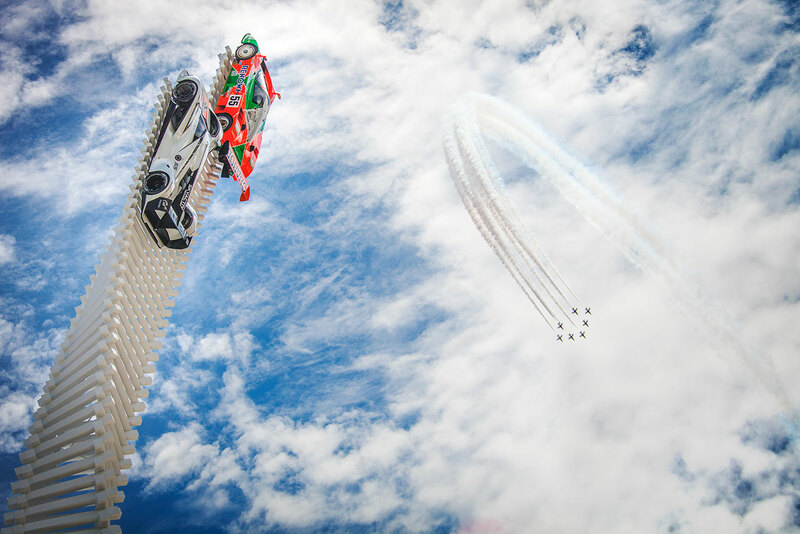 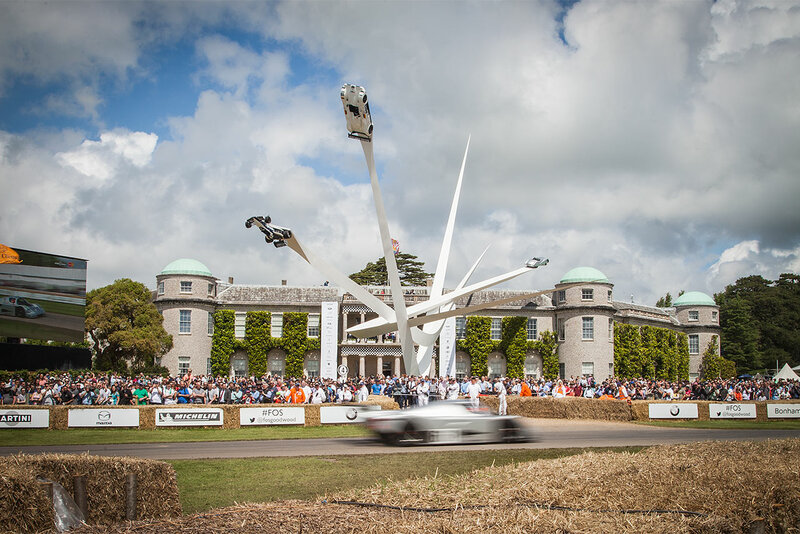 The Goodwood Festival of Speed is an annual event celebrating the diverse history of motor-sport. 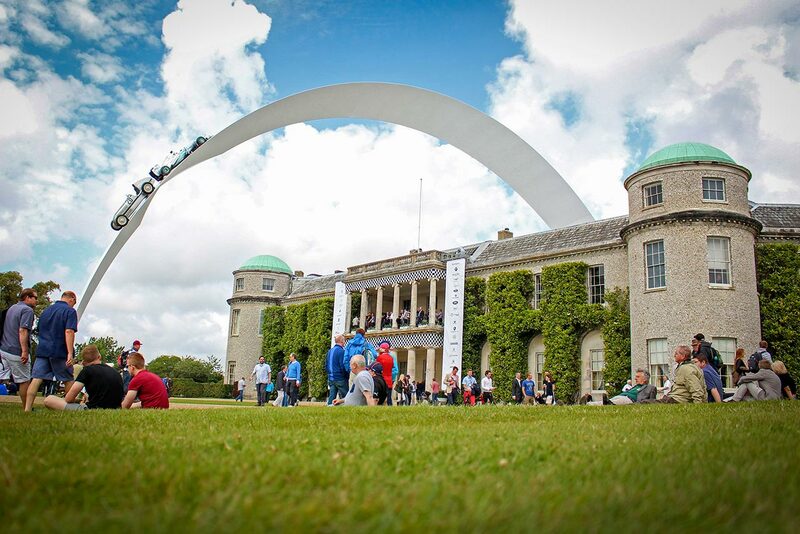 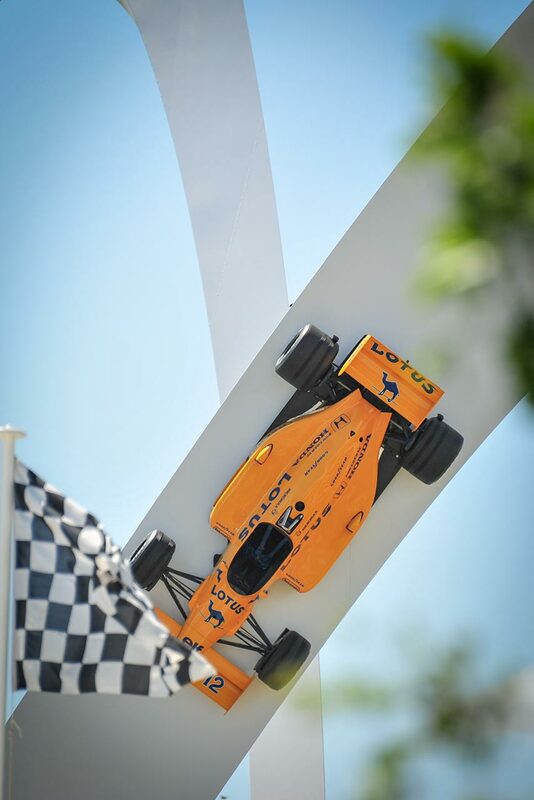 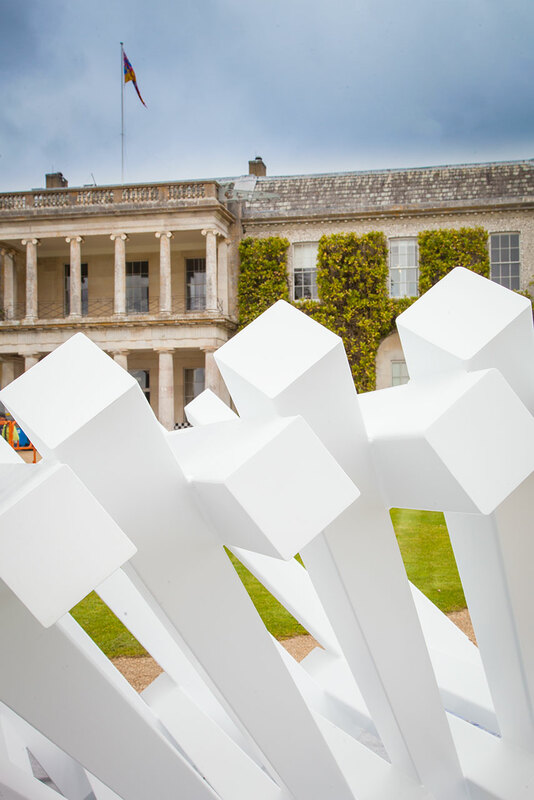 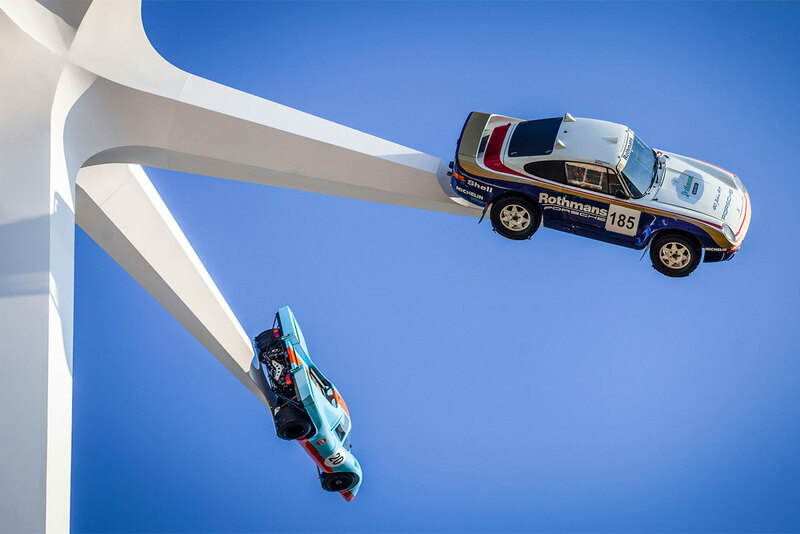 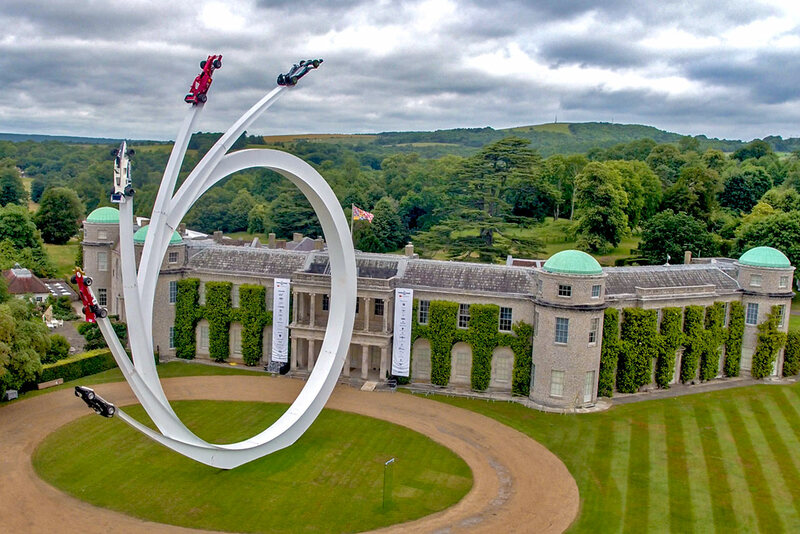 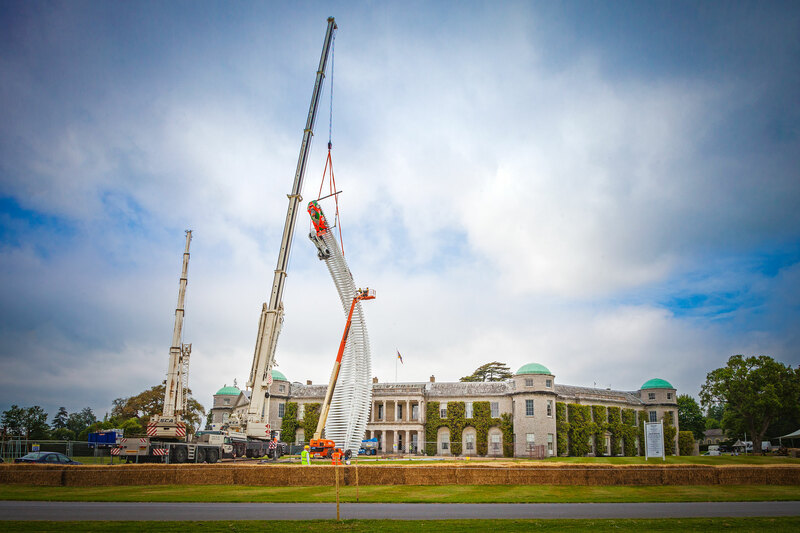 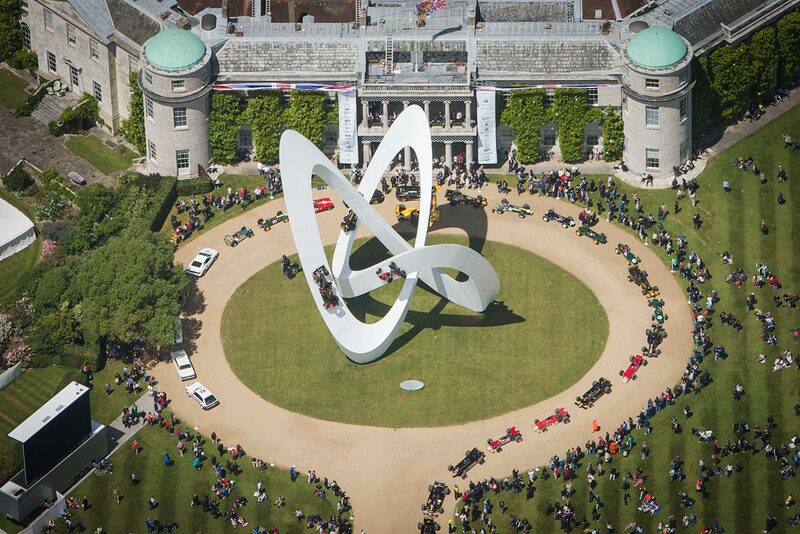 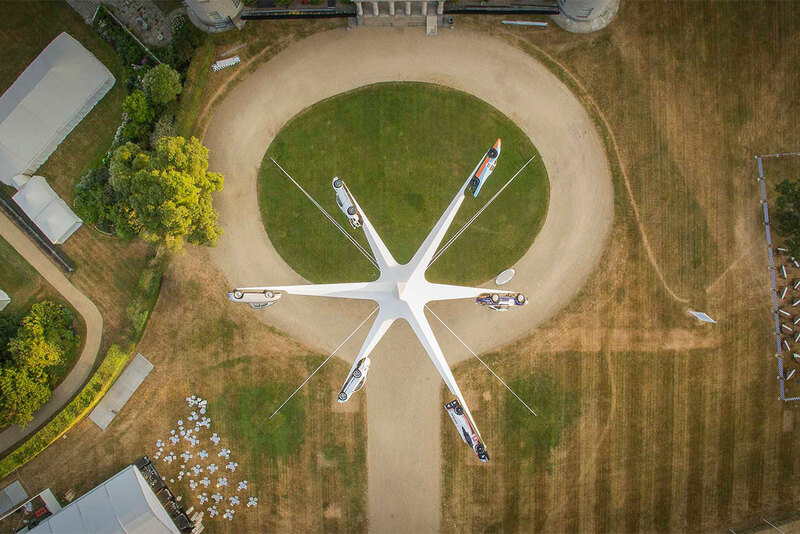 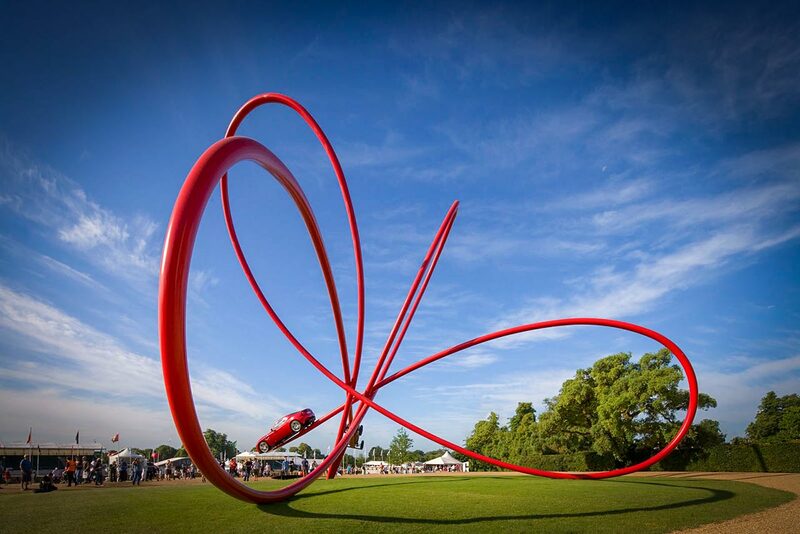 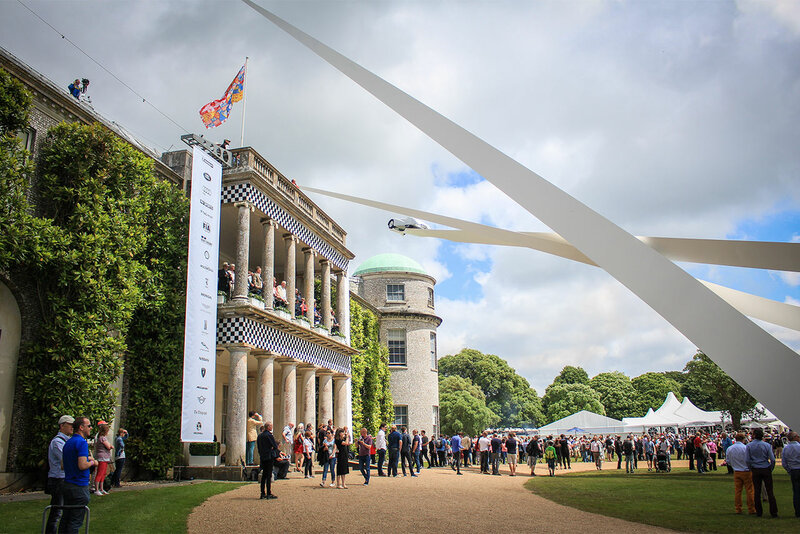 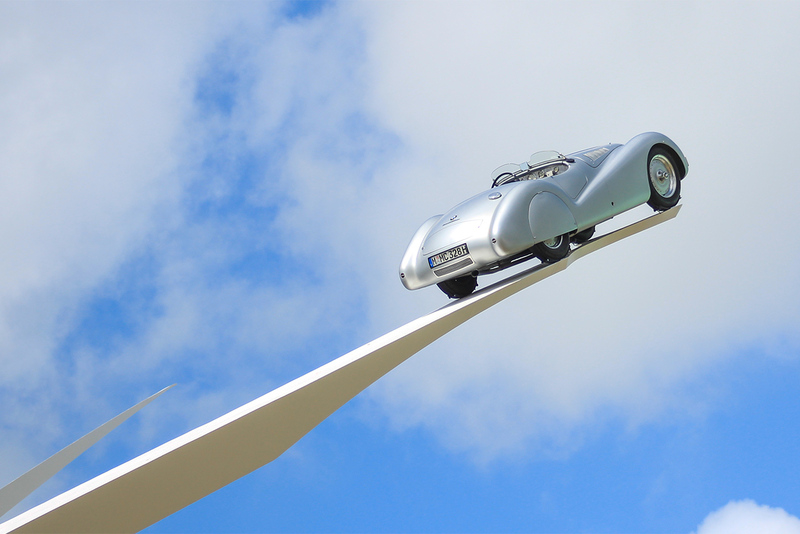 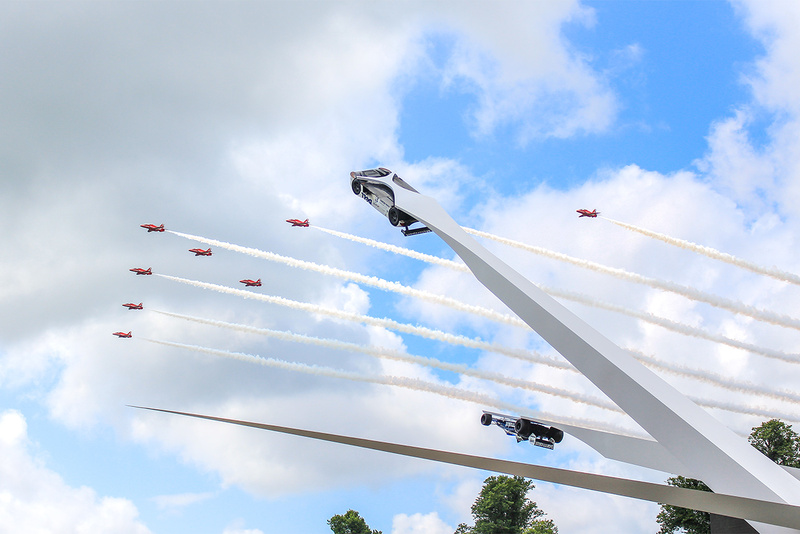 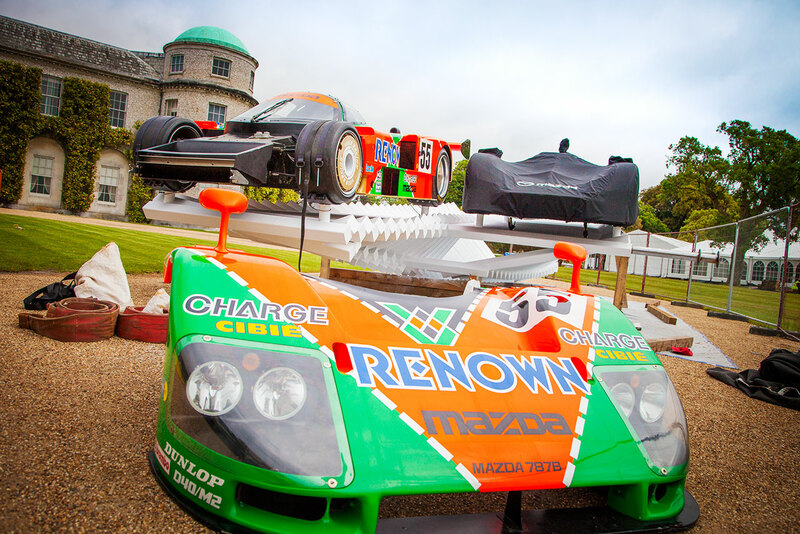 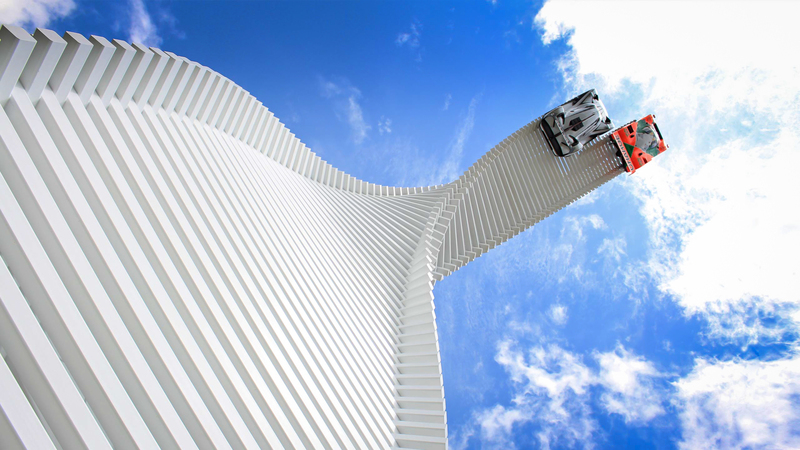 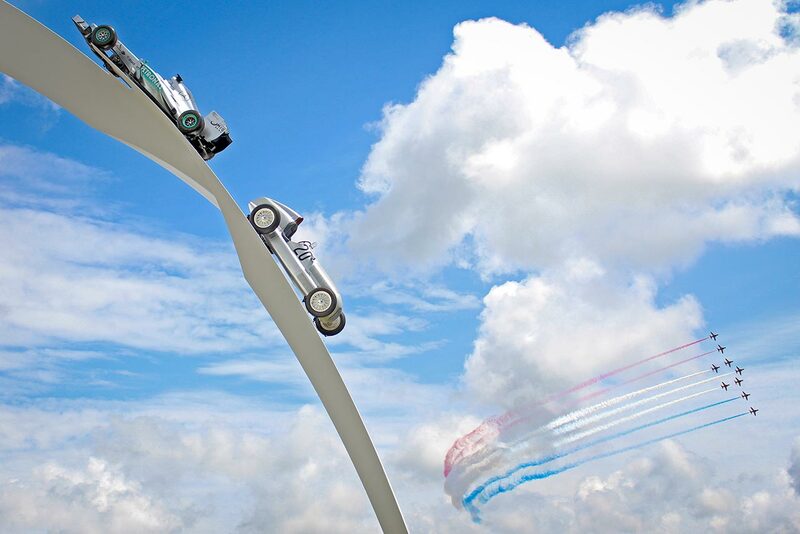 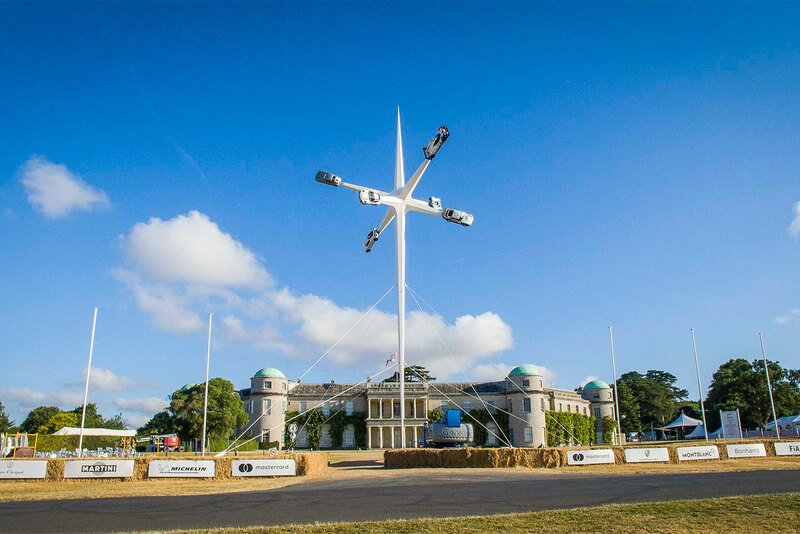 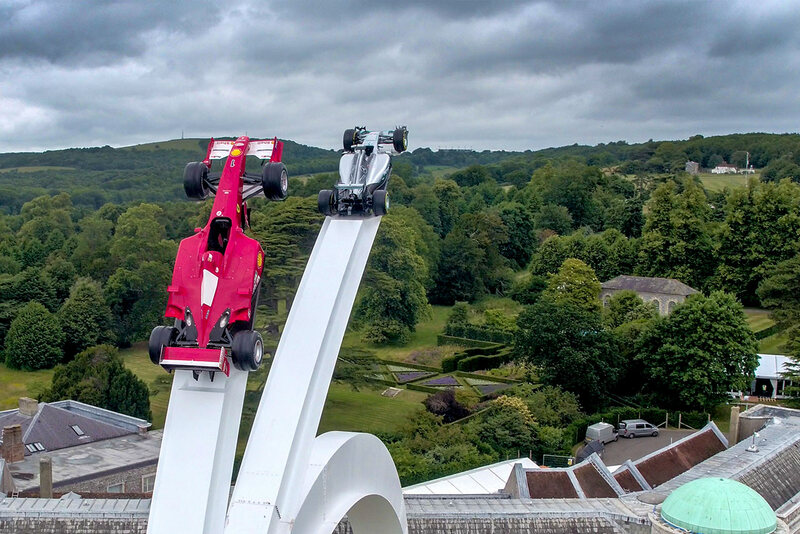 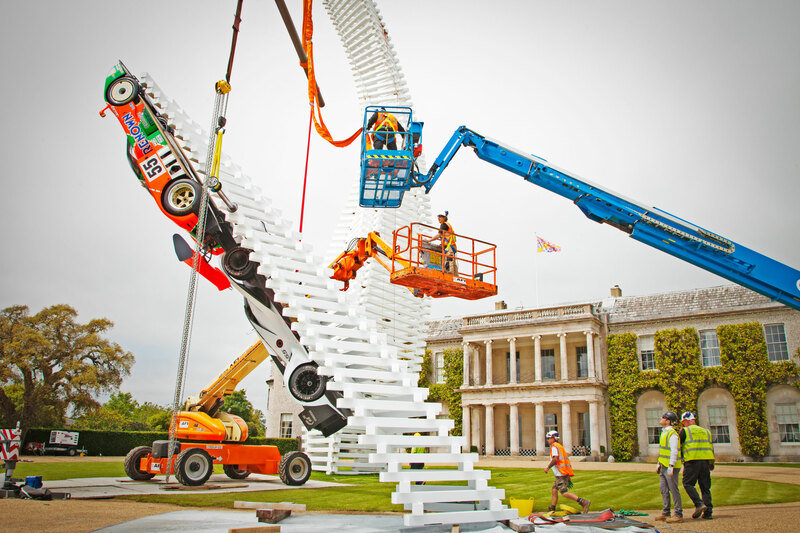 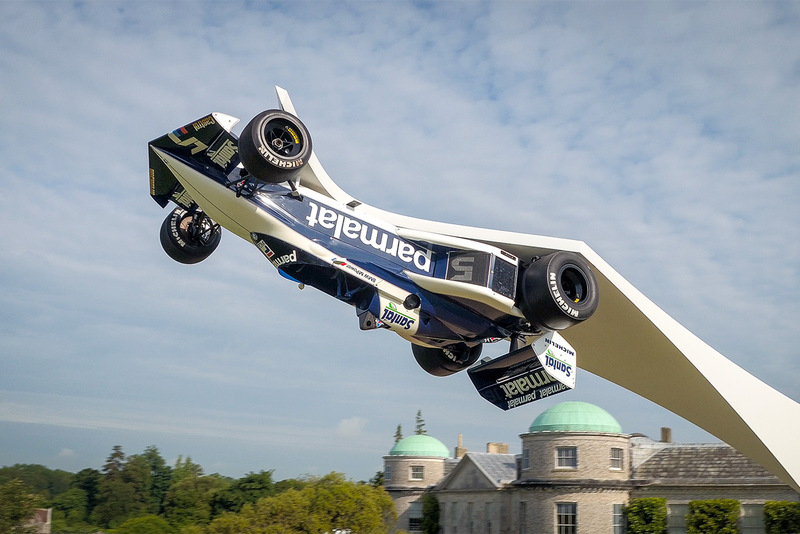 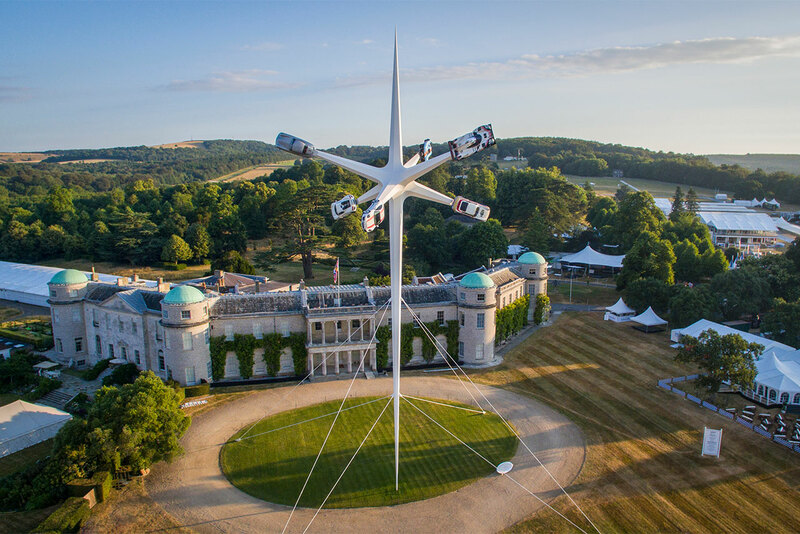 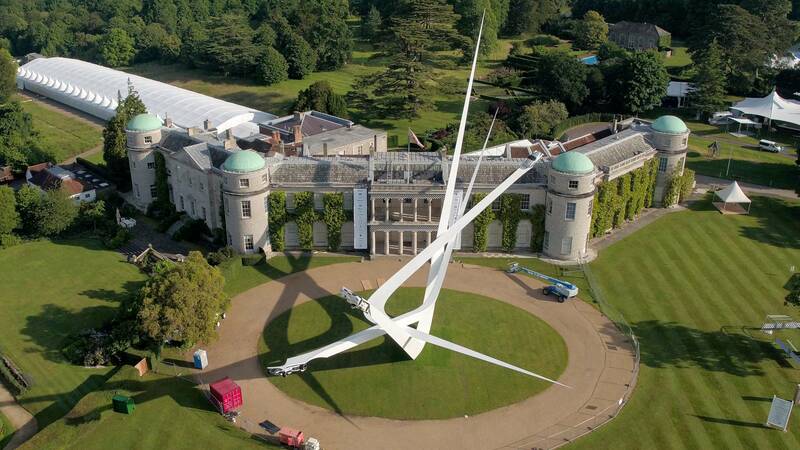 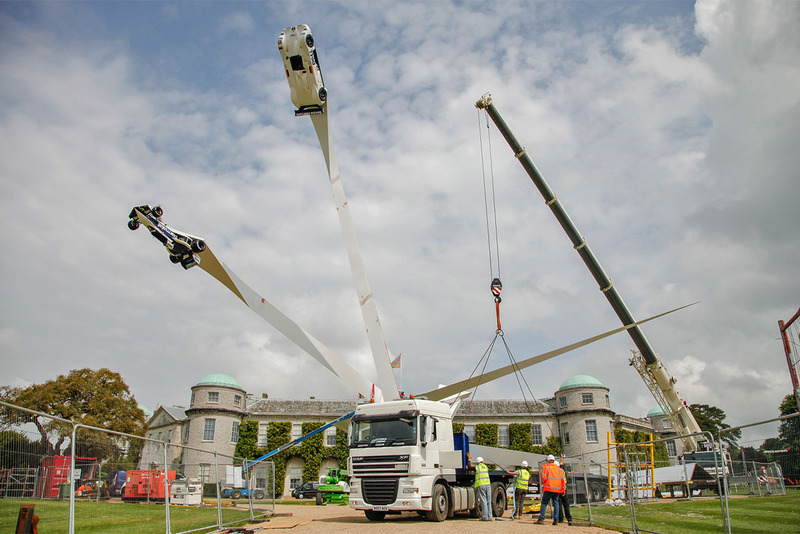 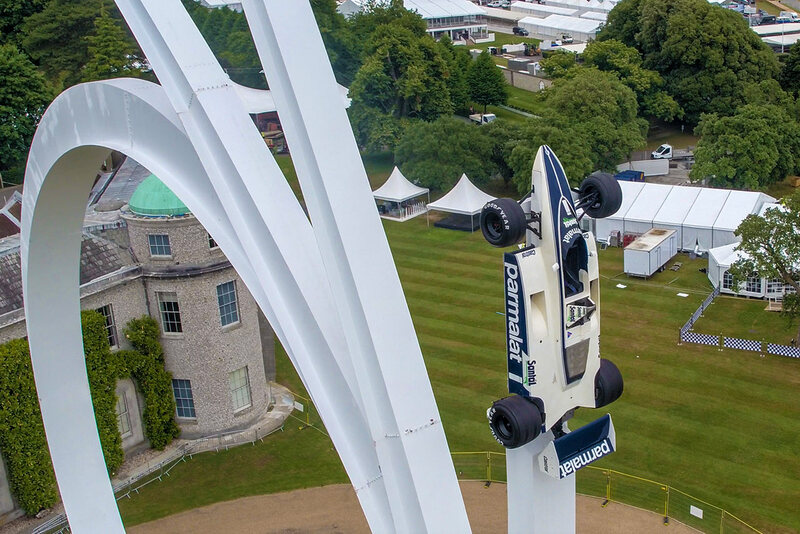 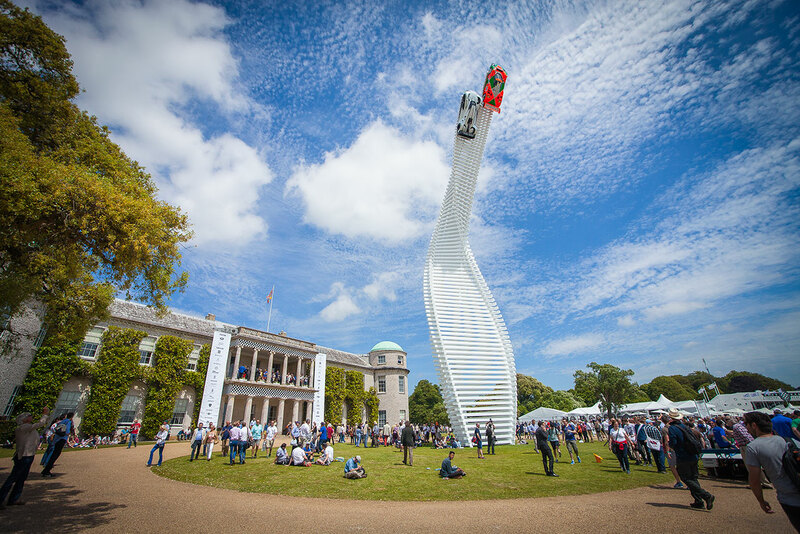 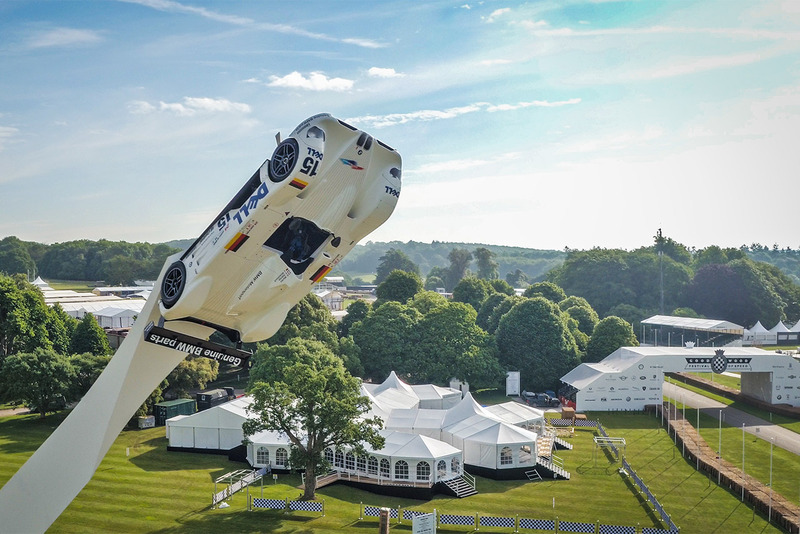 Every year since 1997 a brand new centrepiece sculpture, featuring famous cars, is created inspiring awe and delight in the many visitors to the festival at Goodwood House in West Sussex. 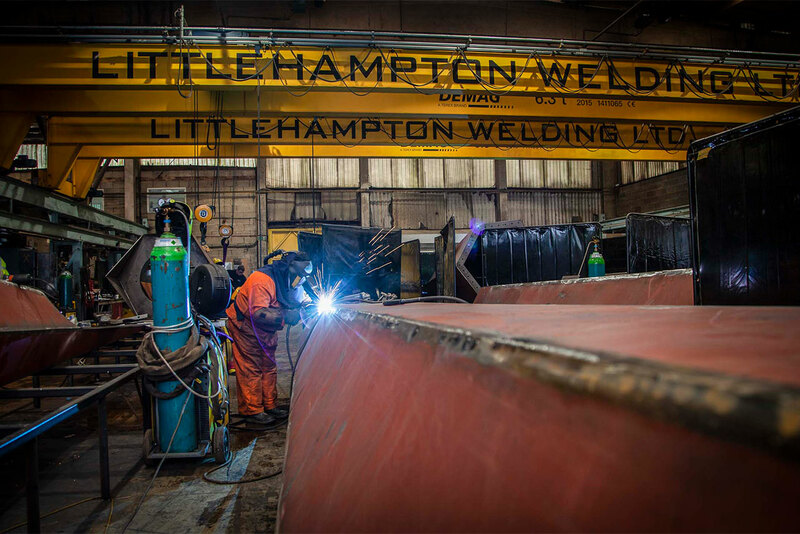 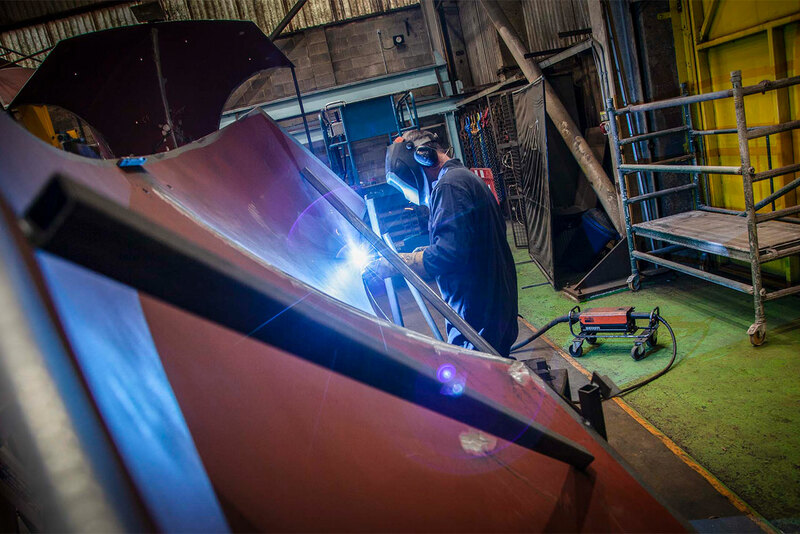 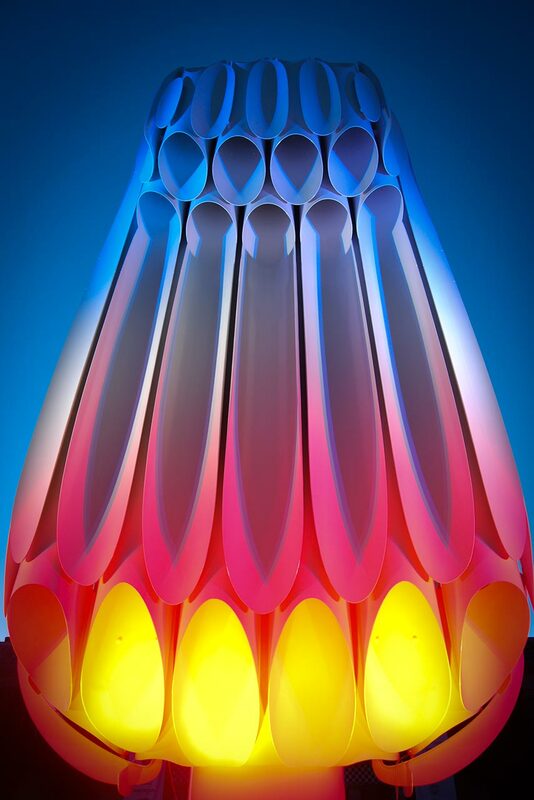 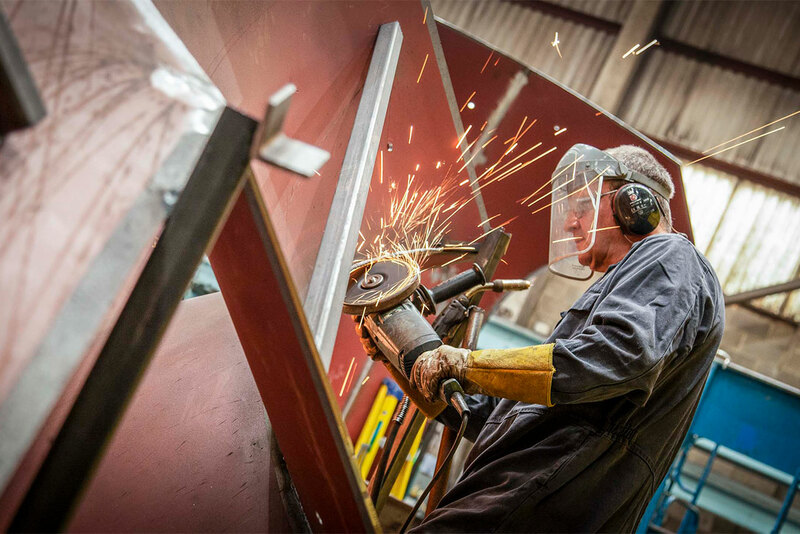 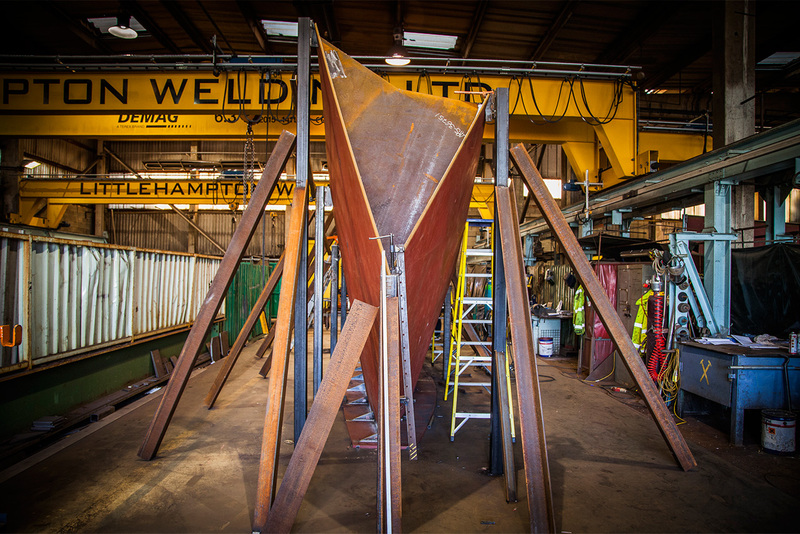 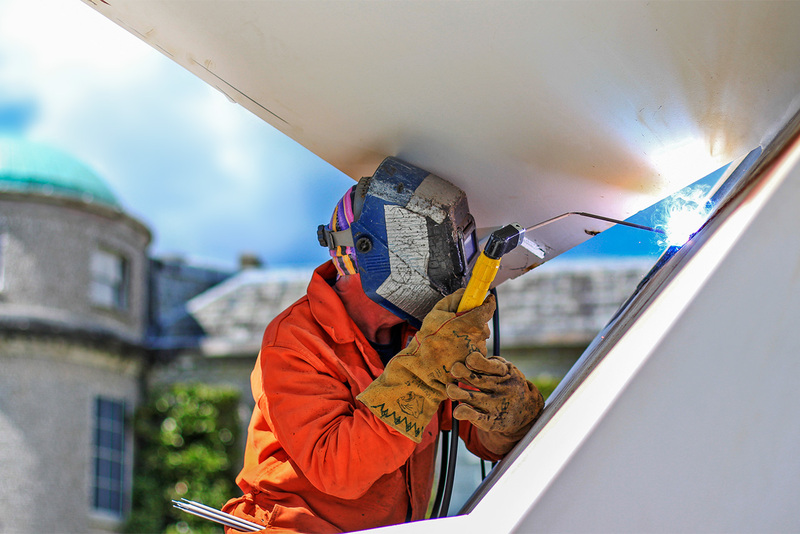 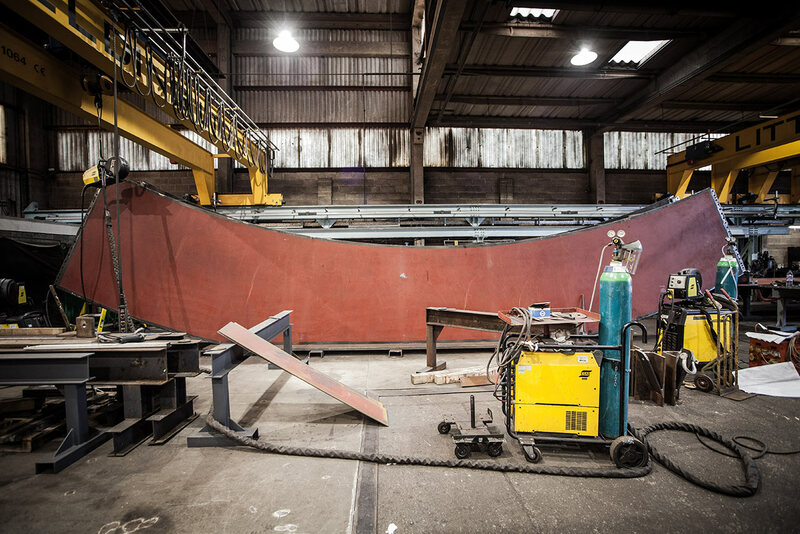 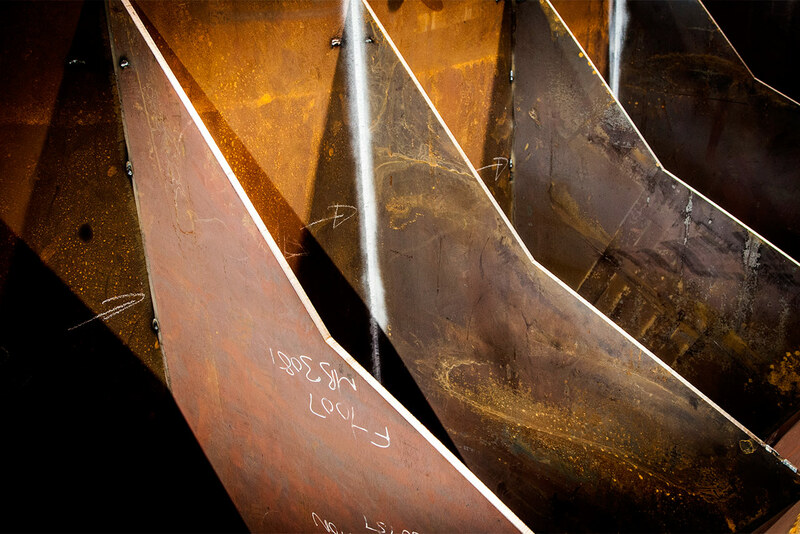 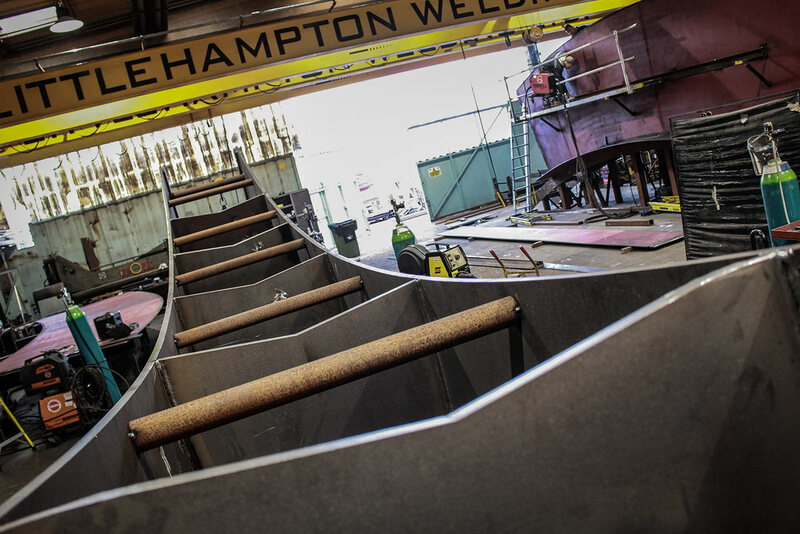 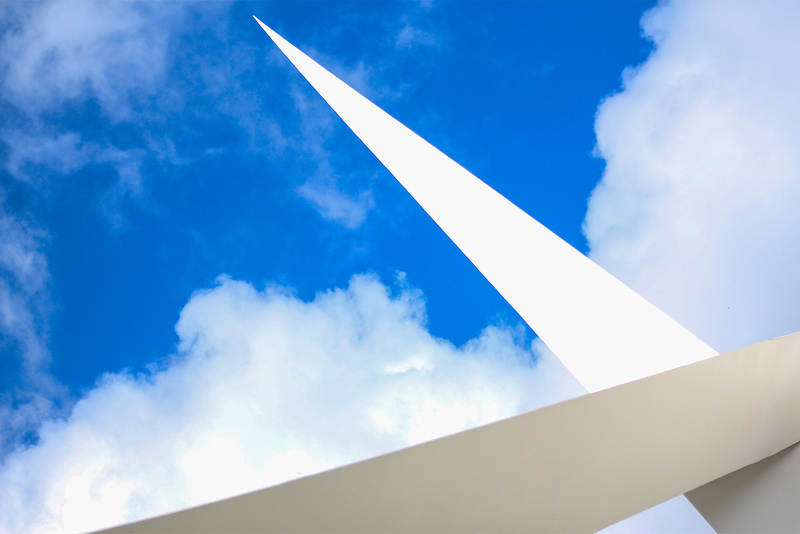 Littlehampton Welding Ltd have fabricated and installed all of these structures every year from 2004 to the present day establishing a good working relationship with the designer of all of these creations, the renowned sculptor Gerry Judah. 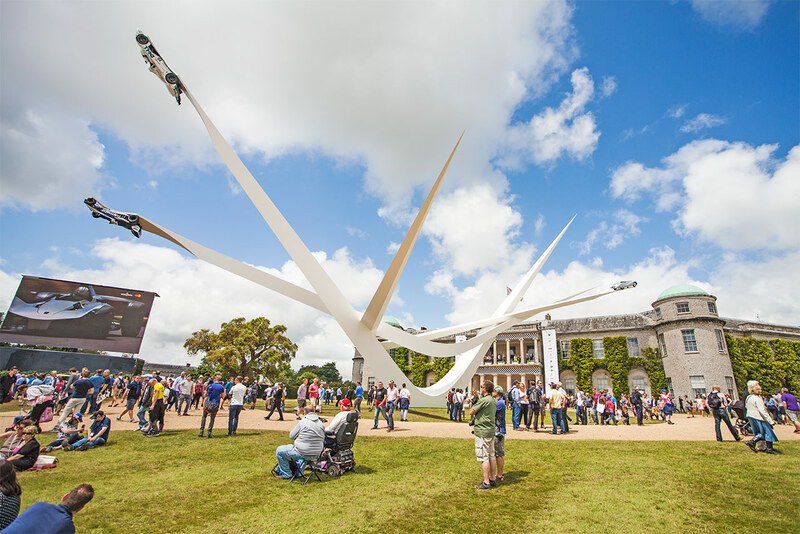 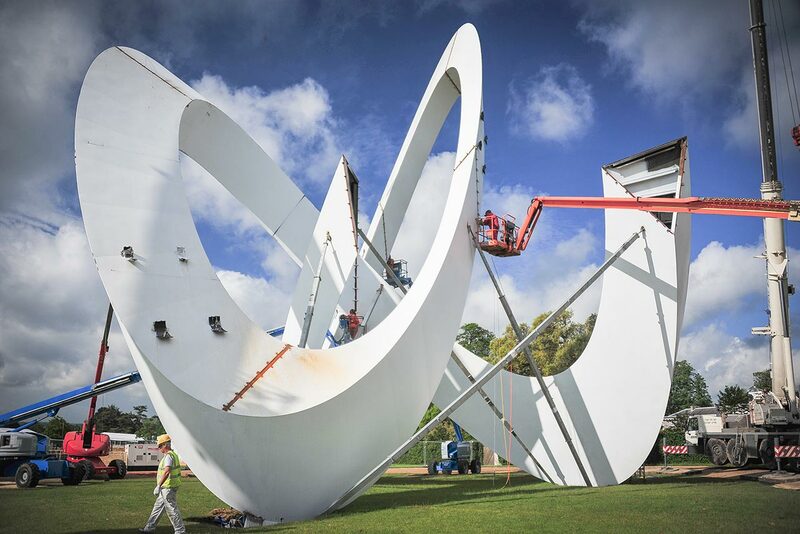 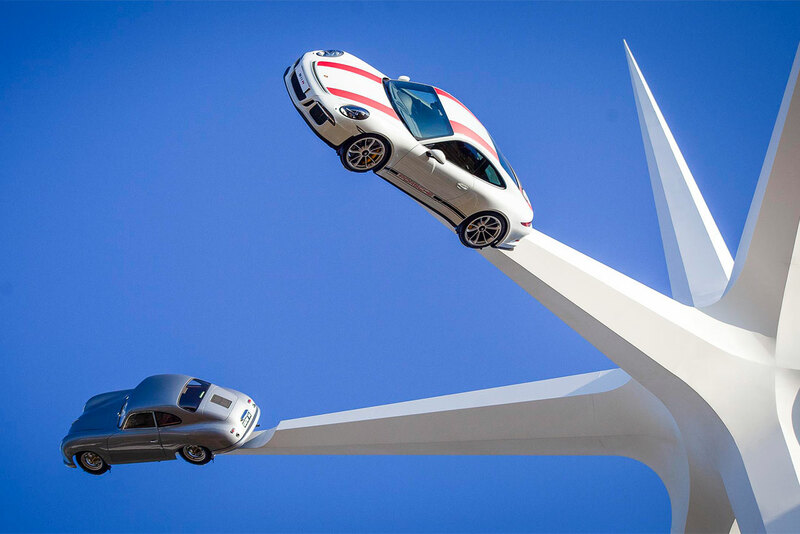 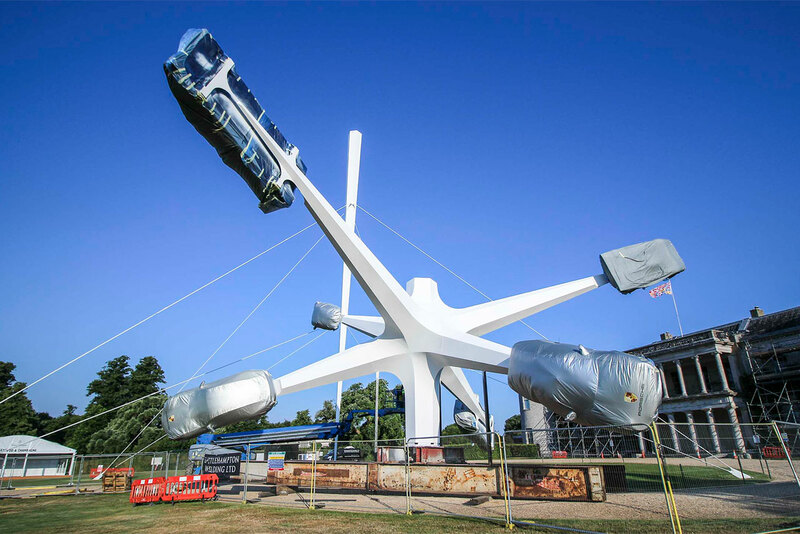 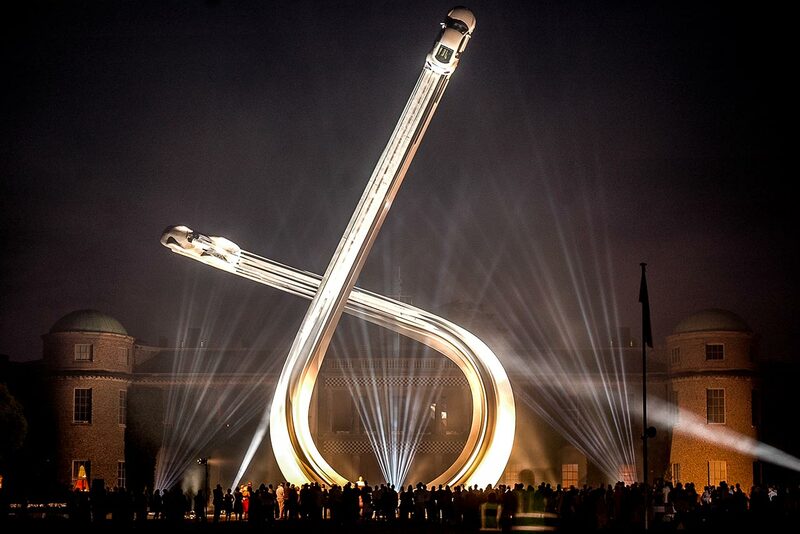 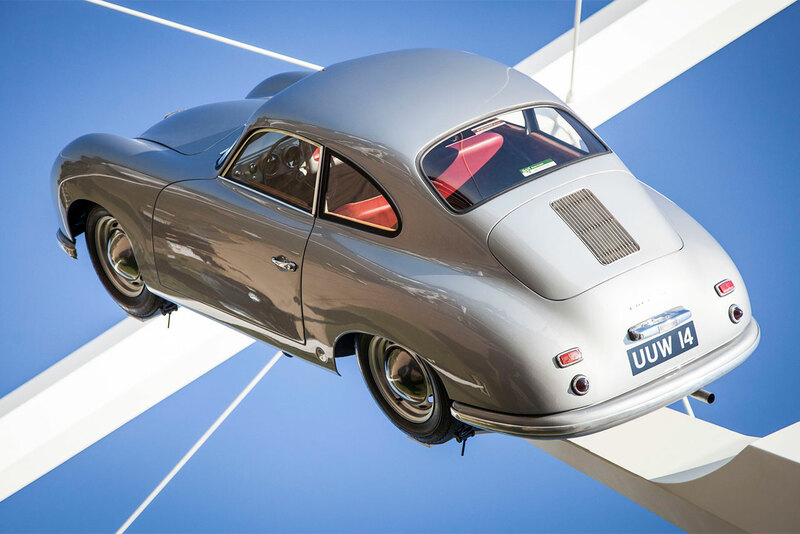 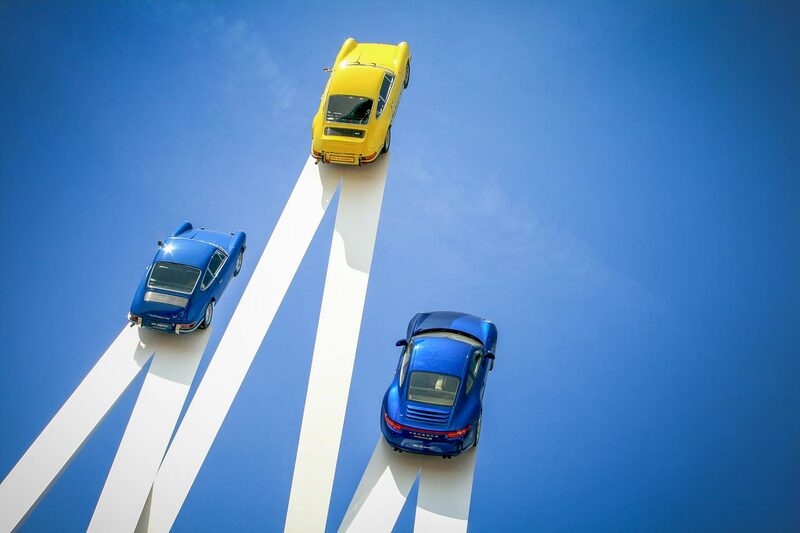 The centrepiece sculpture for the 2018 Goodwood Festival Of Speed was designed to celebrate the 70th anniversary of the iconic automotive giant Porsche, and the cars that feature on this year’s sculpture included the first ever Porche manufactured in 1948, the two-door 356. 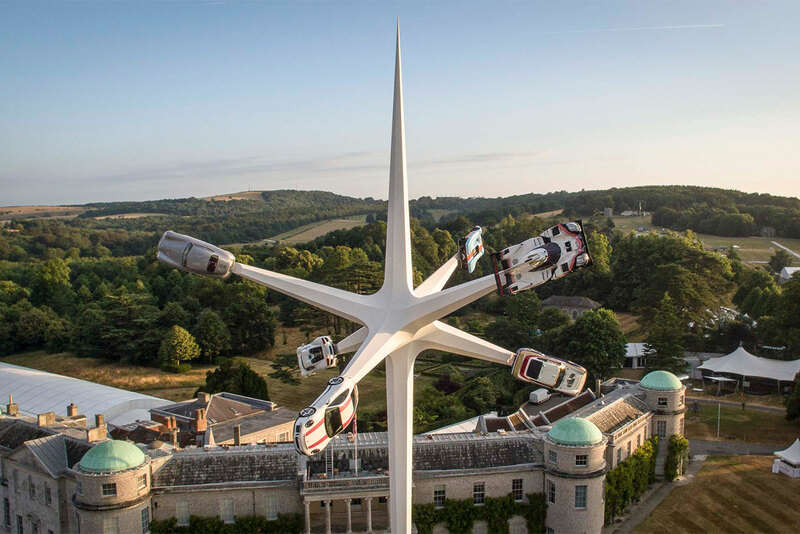 Placed at the tips of a star like central section, this historic sports car was suspended in front of Goodwood House with five other notable Porsches from the past 70 years, including a 917 Le Mans endurance racer (driven by Steve McQueen in the film Le Mans), and a 959 form the 1987 Paris Dakar Rally. 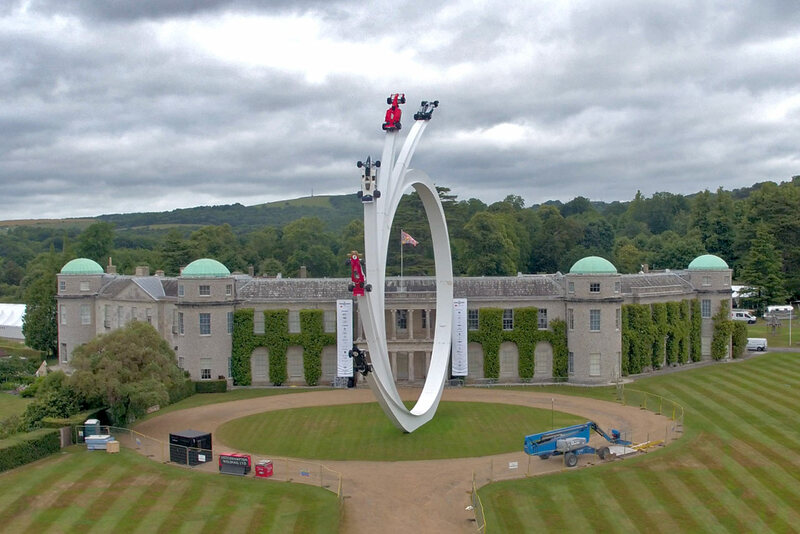 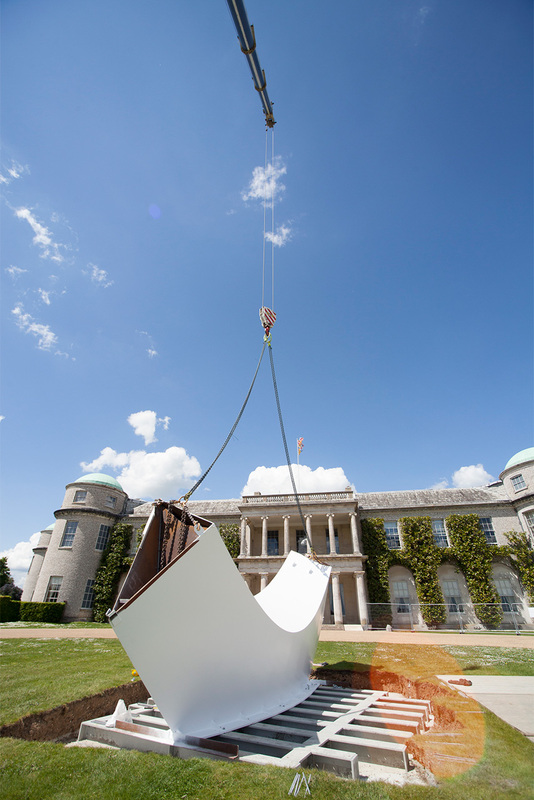 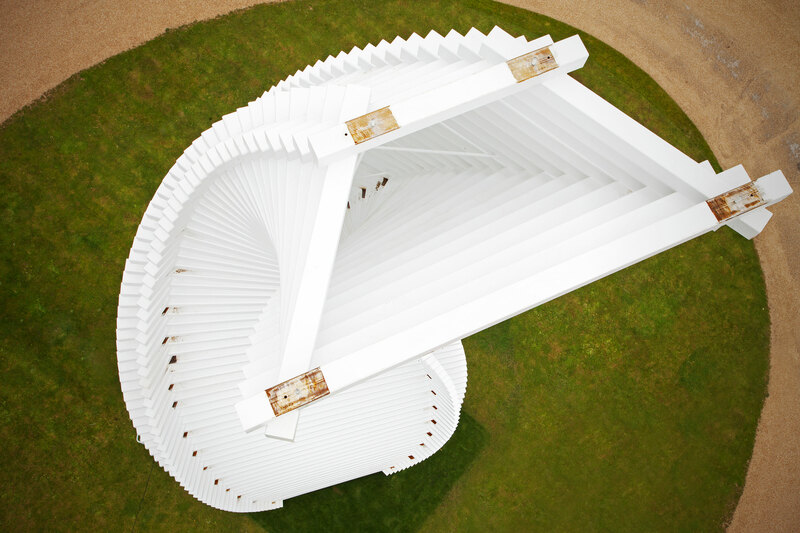 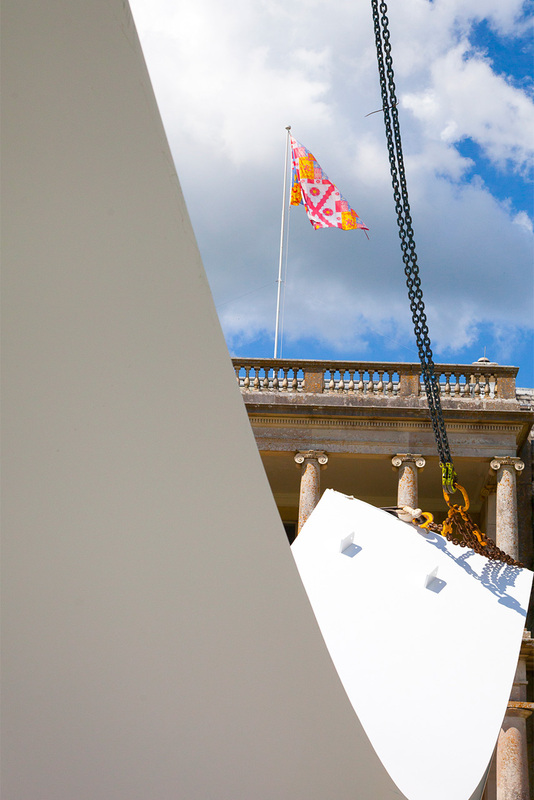 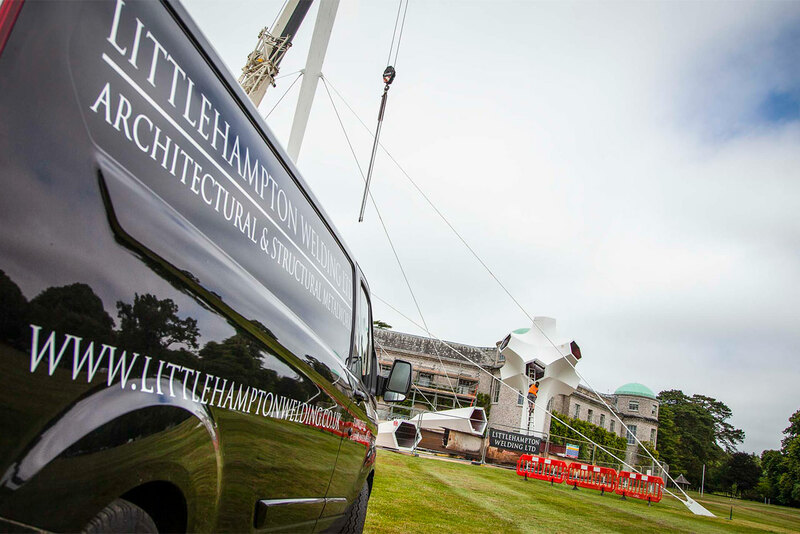 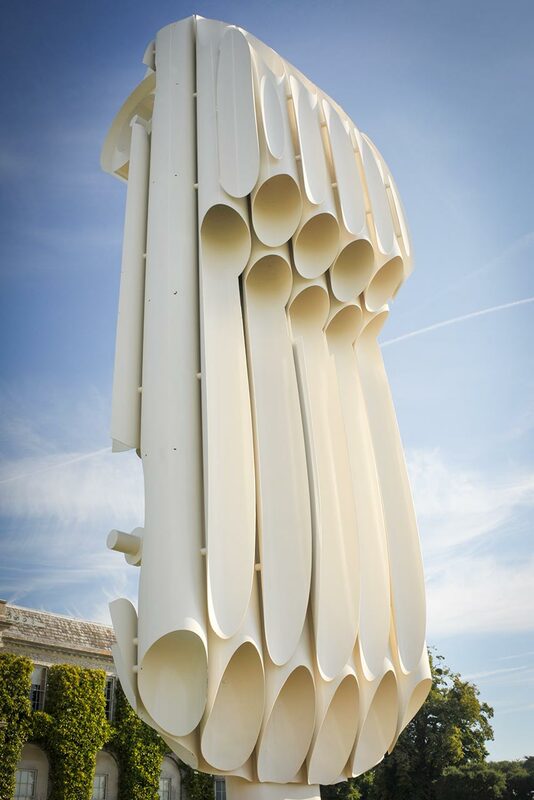 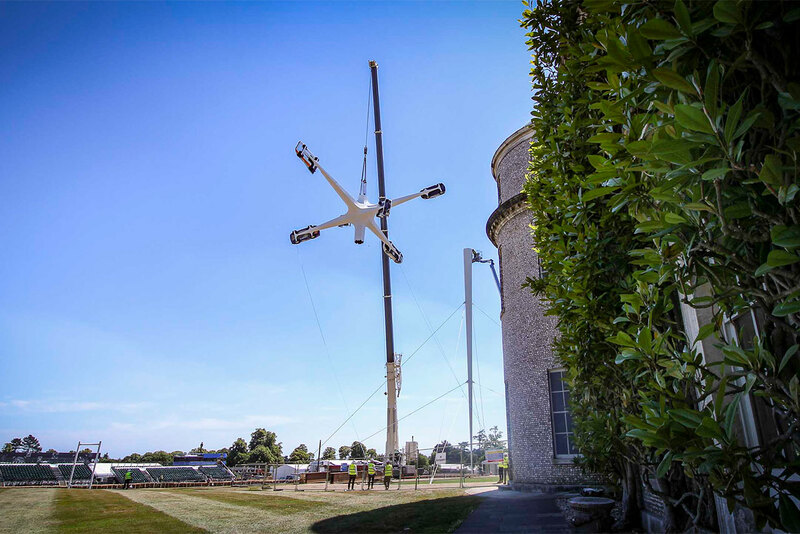 The sculpture that sits in front of the iconic Goodwood House, can be seen from across the entire Goodwood Estate. 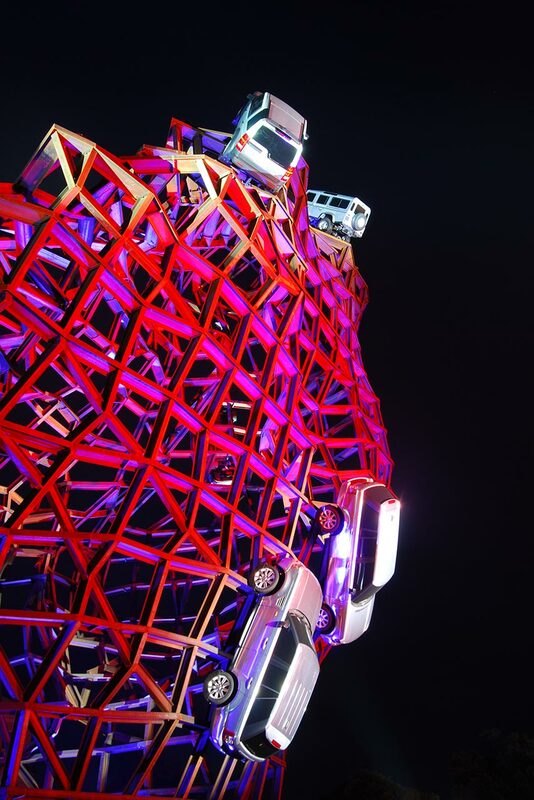 It is just over 52 metres tall and is made of approximately 21 tonnes of steel, holding another 6 tonnes of priceless car. 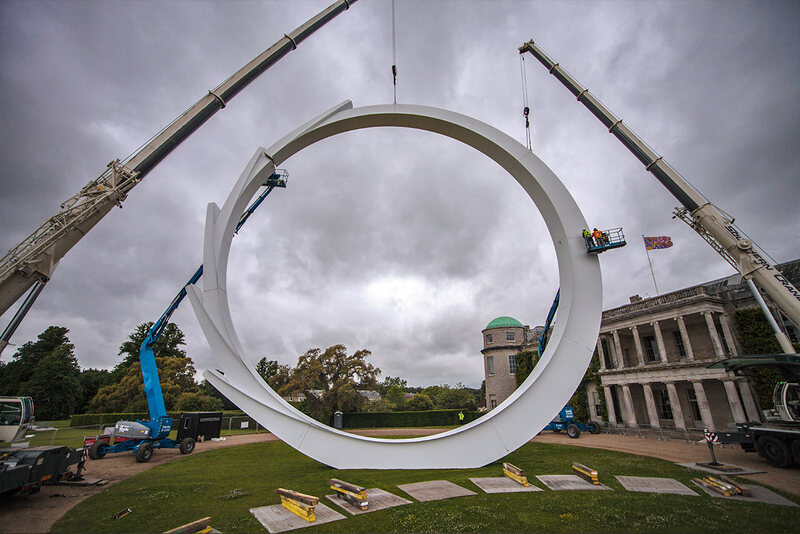 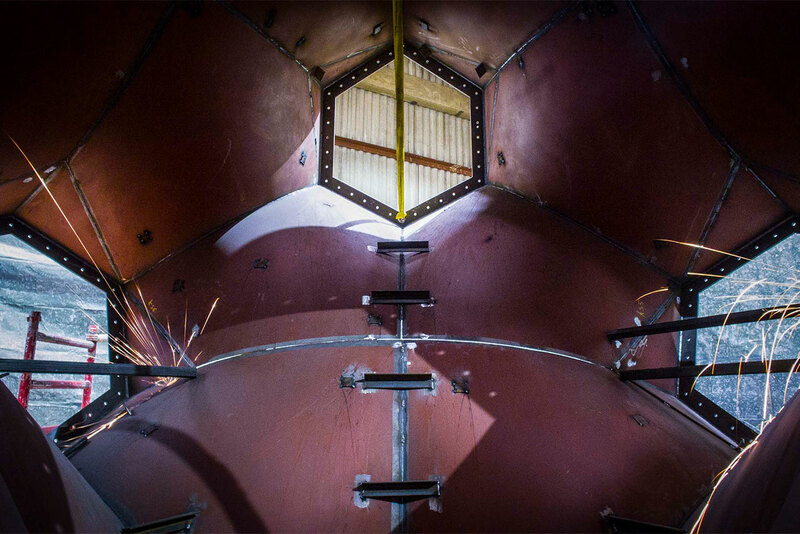 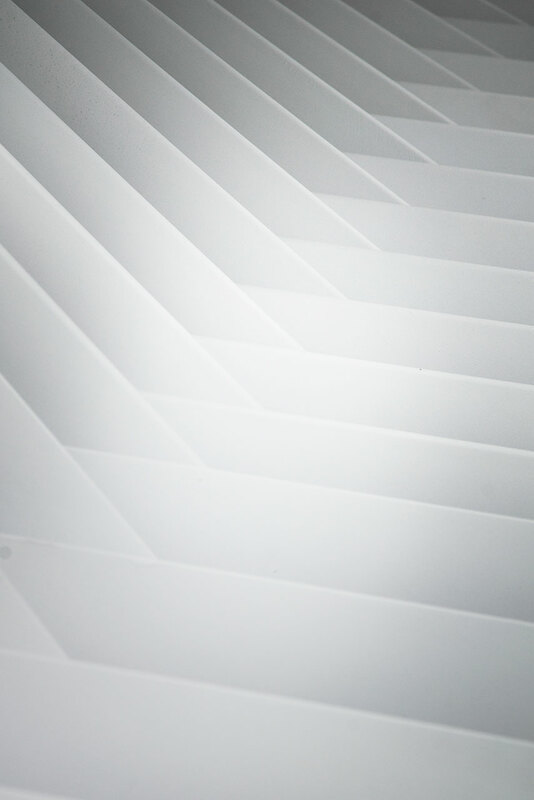 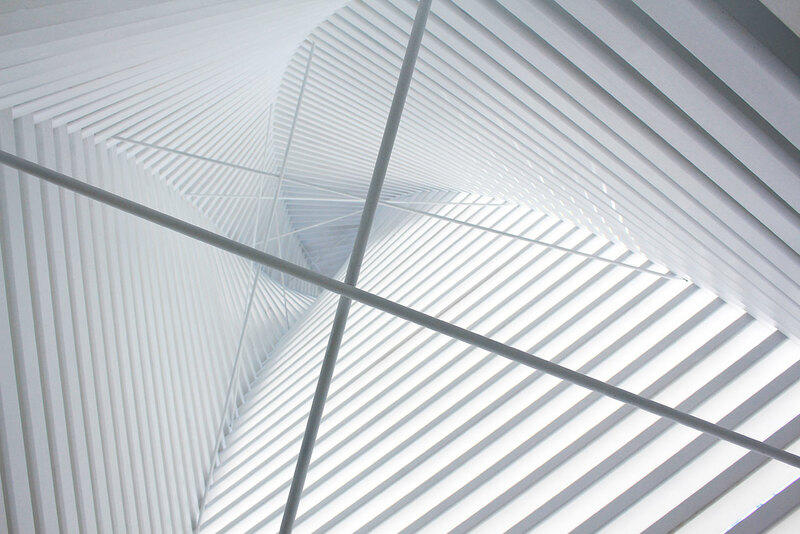 Constructed from hexagonal tapered tubes, and fabricated from laser-cut steel plate, the entire structure rests on a reinforced lower pylon with a ground footprint of only 98 millimetres wide. 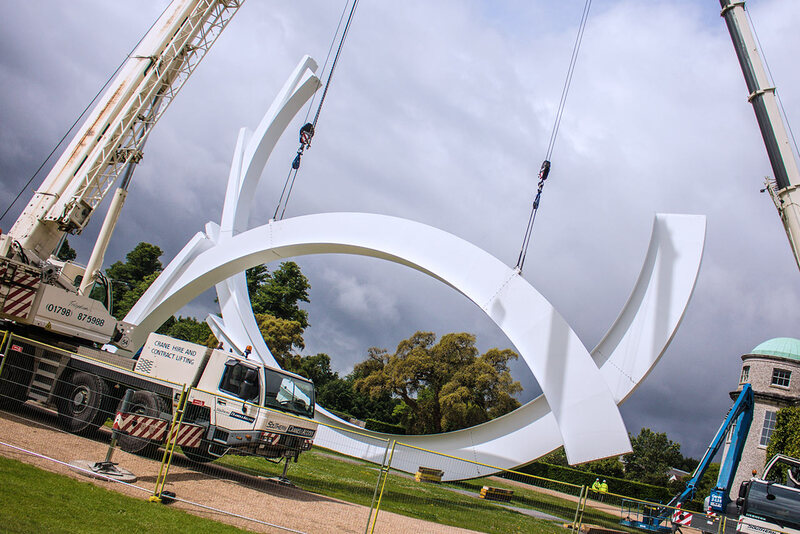 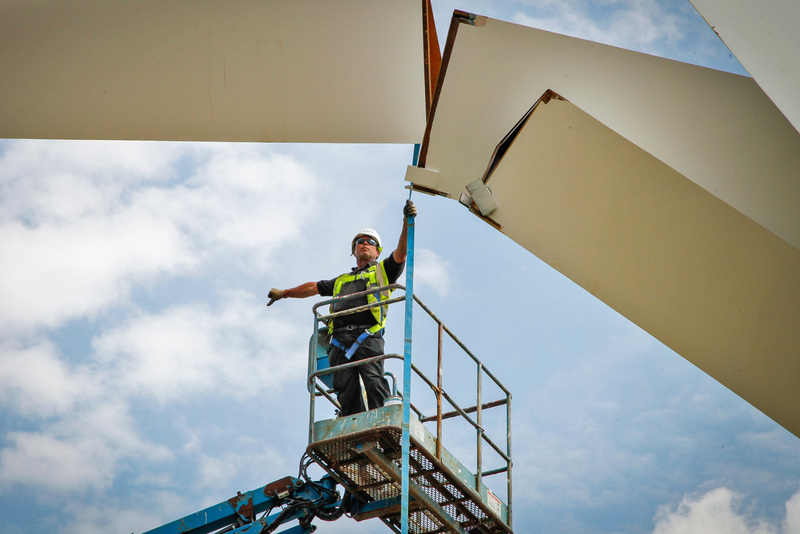 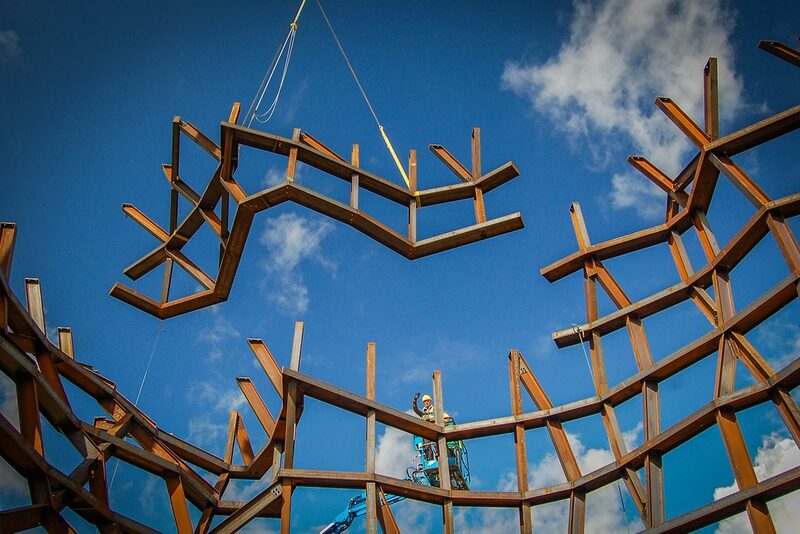 It takes the highly trained site team about 8 weeks to prepare the site, install the sculpture, make any finishing touches, takedown the sculpture and make good the site after the festival. 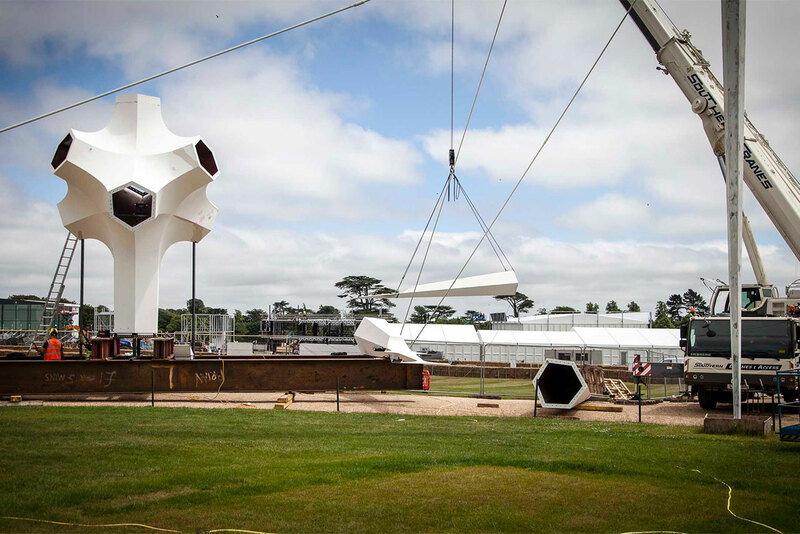 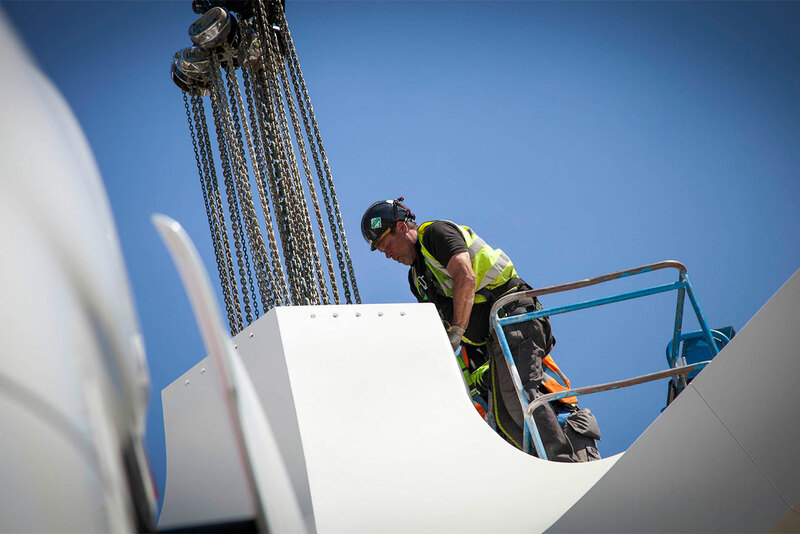 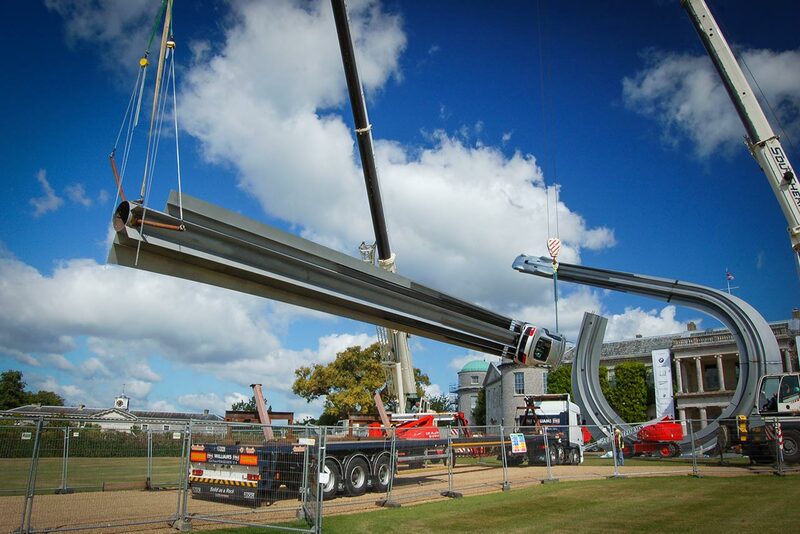 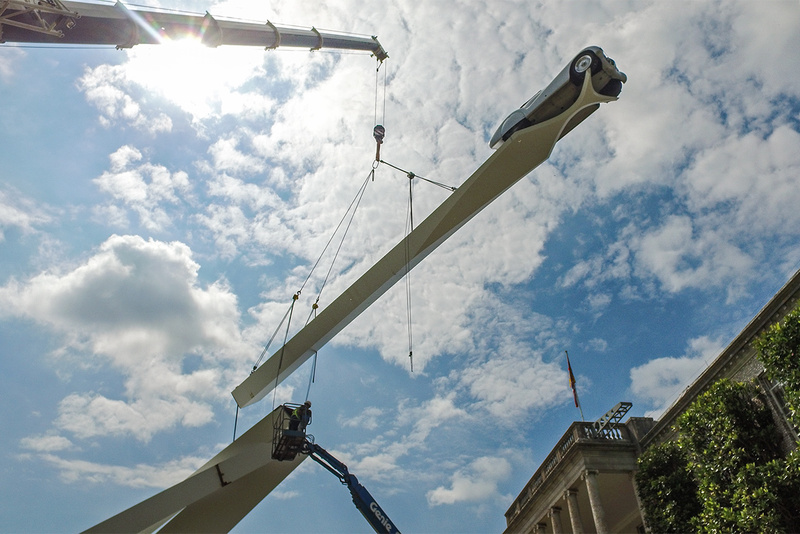 Due to the size and weight of the various sections, they used a number of contracted heavy-lift mobile cranes, and for this year the largest crane in the UK was used to lift the main section that held the iconic sports Porsches.